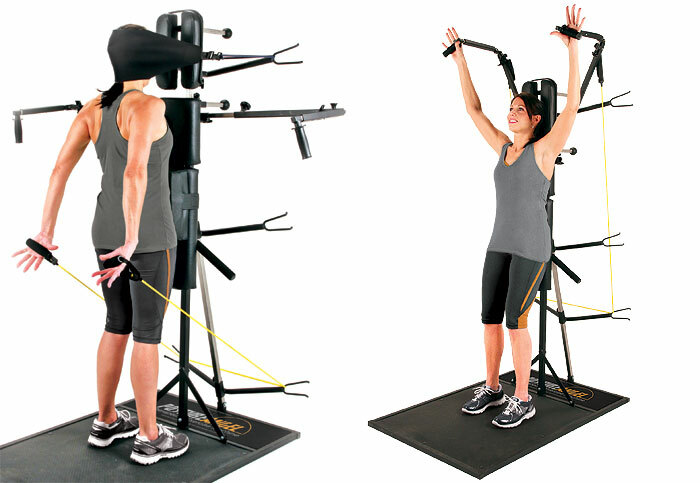 The Posture Angel assists the user into assuming proper posture by having translation supports along the z-axis abutting the head, thorax, and abdomen. Ultimately, plumb line posture is achieved and maintained throughout the duration of the exercises being performed. Exercising with the Posture Angel minimizes distortional stress on the body as a whole. It effectively isolates targeted muscle groups by aiding the user to engage only the intended muscles without recruiting additional fibers. Click the video to see the Posture Angel in action!